A scientific expert on car emissions at the European Commission's in-house think tank is being reshuffled. 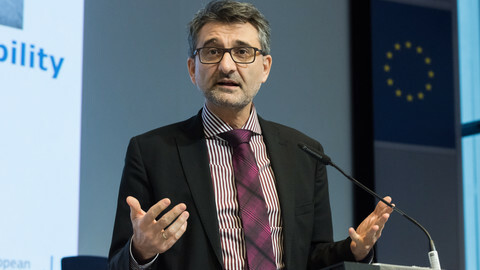 Giovanni De Santi, director for the Institute for Energy and Transport at the commission's Joint Research Centre, will become director of a soon-to-be set up directorate called Competences. 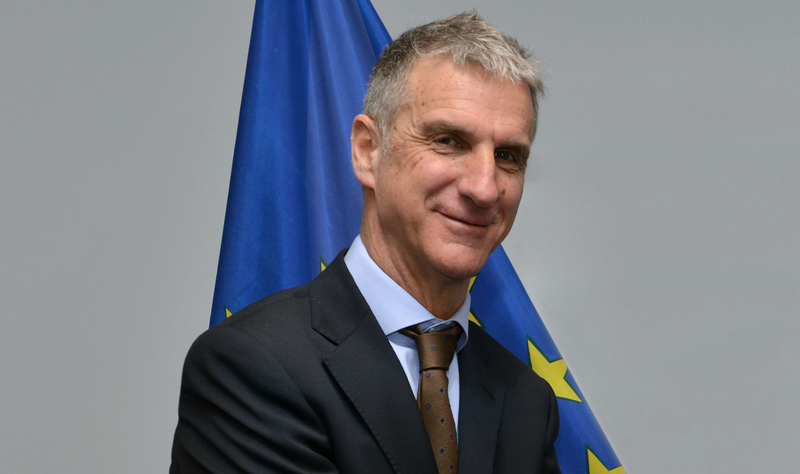 The college of EU commissioners approved the move on Wednesday (25 May). He will be leaving his position on 1 July after nine years. Commission spokeswoman Lucia Caudet told this website in a written statement that "his move is part of standard commission mobility policy". "The creation of the new directorate is part of an overall reorganisation of the JRC to align it better with overall commission priorities and make it more efficient, especially with the novel approach towards knowledge management," she said. Still, the timing raises questions. 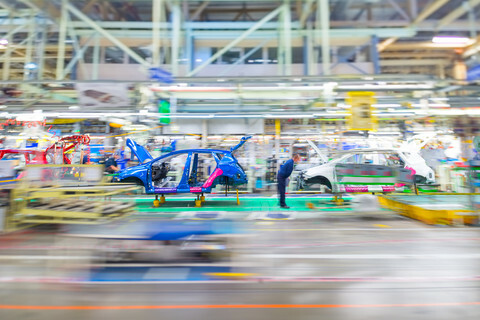 It comes as the JRC and the European Commission are under scrutiny by an investigative committee of the European Parliament, which is trying to find out if the scandal involving emissions cheating by car manufacturers, could have been prevented by EU authorities. The JRC started testing passenger cars on the road in 2007 with the so-called Portable Emissions Measurement Systems (PEMS). The researchers found discrepancies between emissions measured while driving on the road and those found in the laboratory. However, no data was published until 2011, leading some MEPs to raise the question if the industry department of the EU commission had stalled publication. Prior to becoming director in 2007, Giovanni De Santi had worked as a researcher for the Emissions and Health unit of the JRC's Institute for Environment and Sustainability, and co-wrote several articles about emissions measuring. He helped develop the PEMS. This website wanted to hear from De Santi directly, and approached him for a phone interview. In a reply by e-mail, he said he was happy to speak, following which his assistant invited the reporter to meet De Santi in person in the JRC's office in Petten, in the Netherlands. A meeting was scheduled for 19 May at 11AM, subject to “the internal procedure”, i.e. approval from the central EU commission spokesperson's service. On 18 May, it was cancelled. De Santi's assistant said he was asked to offer the option of a written interview by e-mail. A written exchange of questions and answers is a poor substitute for a face-to-face interview, because there is no way to verify who else participated in drafting the answers, and direct questioning is impossible. The first four questions EUobserver sent by e-mail last Friday (20 May) have yet to be answered as of Thursday (26 May). The cancellation comes amidst frustration by some of the MEPs in the EU parliament committee investigating the role of EU institutions in the dieselgate scandal, about the JRC. The committee had asked the JRC to provide all relevant communication, but so far it only received e-mails from the last two years, and documents that were already publicly available. 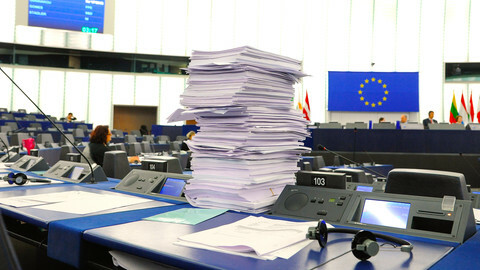 Dutch Green MEP Bas Eickhout, member of the inquiry committee, told journalists on Wednesday (25 May) that after politicians have been heard this fall, his group wants to “reinvite some people who gave insufficient answers and clearly JRC is on that list as well, because their first performance was very poor”. 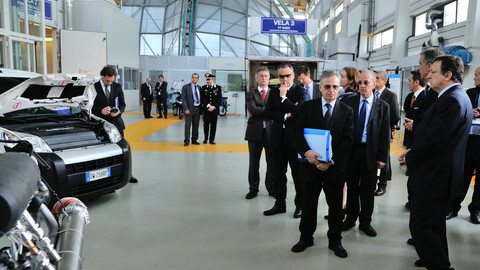 Originally, the JRC's director-general, Vladimir Sucha, was due to show up as a witness. 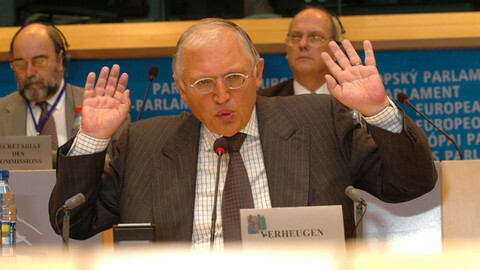 But after the terrorist attacks on Brussels on 22 March, the hearing was postponed to a date when Sucha already had a “long-planned commitment with a member state”. To the chagrin of MEPs in the Green group, the JRC sent Delilah Al-Khudhairy, who is director of policy support coordination in Brussels since November 2015. The JRC employs around 3,000 people and consists of seven different institutes located in five different countries. Before her promotion, she was head of unit of global security and crisis management at the Institute for the Protection and Security of the Citizen. “You have no direct, first-hand information on what we are discussing here,” Luxembourgish MEP Claude Turmes said during the hearing, after handing out an organigramme of the JRC to his colleagues. Al-Khudhairy acknowledged she was “in another institute which was concerned more with other aspects”, but noted that as an engineer she “understand[s] engineering issues”. “It is in my interests to know everything that happens in the JRC, because I am responsible for helping to identify and anticipate opportunities for research in the JRC so that we develop the work programme and better address the needs of the commission,” said Al-Khudhairy. “I have been director since November last year. I was nominated to be director in September. I started following the file closely as soon as I was aware of my nomination,” said Al-Khudhairy, adding that she had brought Alois Krasenbrink, who is head of unit at the sustainable transport department of De Santi's institute. Krasenbrink, responsible for the JRC's Vehicle and Engine Emission Laboratories, appeared as co-author on several of De Santi's papers on emissions measurements. But MEP Turmes would have rather had De Santi instead of Krasenbrink. “My information is that Mr De Santi was removed from his position a few days ago and my information is also that Mr De Santi was available for the meeting today and that it was a deliberate choice by Mr Sucha not to have probably one of the persons who best understands what went on over all the years present here,” he said at the April hearing. “I am not sure what sort of information you have received. The whole JRC has basically been going through a reorganisation and, as part of that reorganisation, basically senior management, and also middle management, have actually moved into new positions, but he still currently in place,” she said. 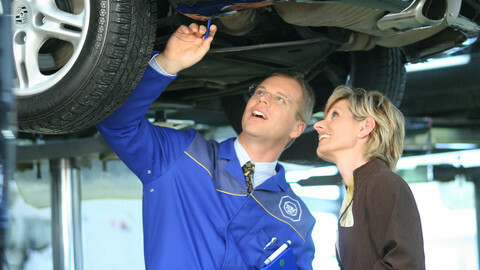 The reshuffle is also relevant for the future of the approval process of new cars on the market. If a legislative proposal the commission presented last January is adopted, the JRC will be in charge of greater oversight powers. Responsibility for those powers will lie at the directorate De Santi is leaving behind, which will be renamed to Energy, Transport and Climate. That means De Santi's successor, Piotr Szymanski, will lead that effort. Szymanski currently leads the directorate of nuclear safeguards at the commission's directorate-general for Energy. But despite Szymanski being less experienced with emissions testing, we need not worry, said commission spokeswoman Caudet. "Continuity is ensured regarding the activities of the Commission related to emission measurements and type approval," she said, adding that all other expert staff stays on board. Caudet added that De Santi dealt with "a wide range of files – nuclear issues, energy markets, renewables and energy efficiency, energy storage, etc", with emissions testing being only part of his responsibilities. The commission has had the power to compel states to send assessments of the companies that test car emissions since 2007, but it has never made a single request.